Susan Oetgen and Terre Parker began a trade. Terre offered Susan a series of scores to investigate outdoors in Brooklyn, NY. Susan offered Terre business advice and helped her to create a plan for advancing her teaching and performance work. Ben Spatz invited Margot Bassett to perform in his work. Peter Sciscioli invited all of the 2012 artists to return to Earthdance with a collaborative partner for the first annual IIAC residency. Susan and Terre invited Margot and Peter to join them in monthly conference calls to check-in and support each others' artistic development. Peter began a monthly singing circle in NY which included Ben, Susan, Margot and Maximilian Balduzzi. Ben initiated a participatory, durational song event called STAR with Susan, Margot and Peter. Peter offered Krista DeNio letters of recommendation for academic teaching positions. Margot worked on a new piece involving Susan, Peter and Maximilian. Emily Sweeney offered consultation to build this website. Terre, Margot, Maximilian and Krista returned to Earthdance for the Moving Arts Lab to lead workshops, perform and participate in a dialogue with IIAC 2014 Residents and the community of teachers and participants. Maximilian taught a 5-day workshop in Mexico City organized by Martín Lanz Landazuri. 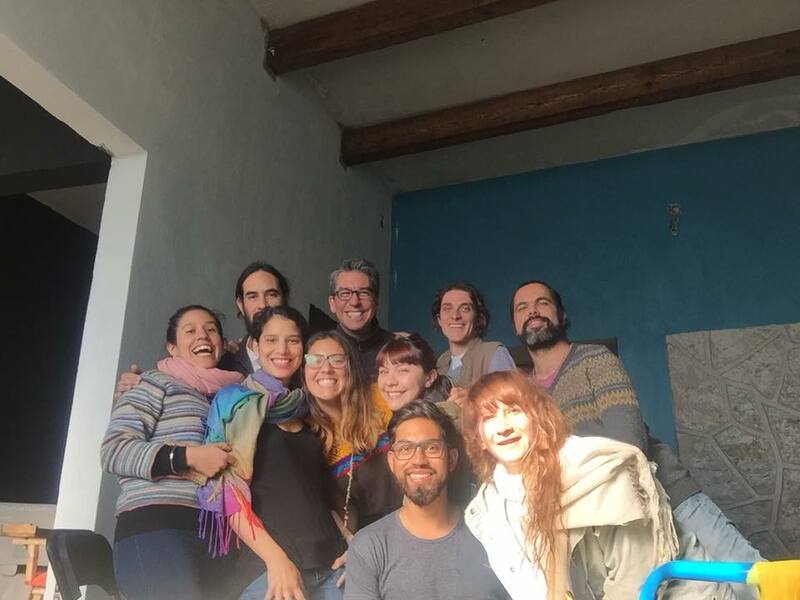 Peter taught a 5-day workshop, created work and performed in Martín's Laboratorio: Condensacion in Mexico City. Iskra Sukarova and her colleague Biljana Tanurovska invited Ursula Eagly, Peter, Martín and Emily to participate in the 7th LocoMotion Festival in Skopje, Macedonia October 27-November 2. Leonina Korneti Pekevska, Elena Risteska and Kohji Setoh joined the research group and the IIAC. Support for the project was provided by the Trust for Mutual Understanding, administered by Movement Research. A larger group of IIAC alumni returned to Earthdance for the Moving Arts Lab to lead workshops, perform and participate in a dialogue with new IIAC 2015 Residents and the community of teachers and participants. Ursula, Martin and Kohji began a collaborative process. Cândida Borges collaborated with photographer Anna M. Maynard on a Performance/Research: Music is nature. At Cândida's invitation, Krista, Peter and Deirdre Morris submitted abstracts that were accepted for the first Latin American Social Innovation Network (LASIN) Conference in Panamá this September (more soon!). Peter provided a letter of support for Jeanine McCain's tenure dossier at Ursinus College. Ben Spatz extended an invitation for a one-day work exchange to all IIAC members with his Judaica project trio (UK) at CAVE, home and studio of Ximena Garnica and Shige Moriya. 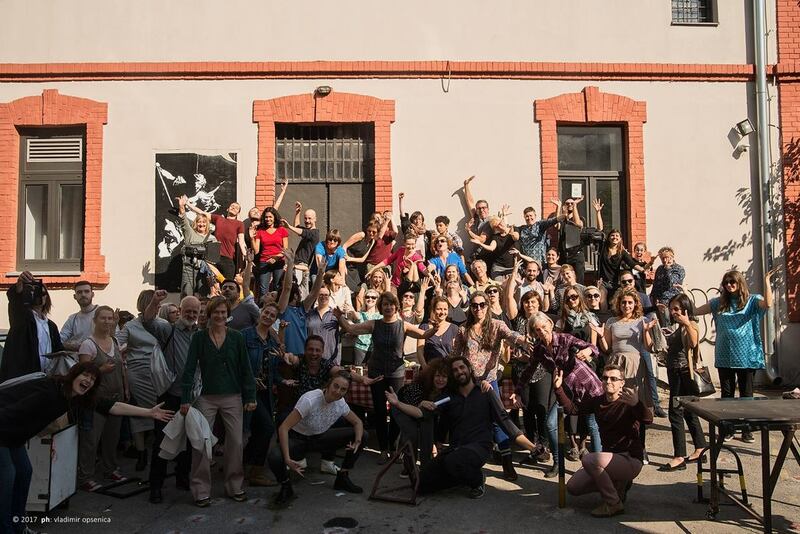 Iskra Sukarova recommended Peter and both attended the gathering of the Nomad Dance Advocates hosted by Movement Research's Global Process Sharing (GPS) program and Slavinka/Station - service for contemporary dance in Belgrade, Serbia. After the 2018 residency, Cândida attended the Seminario Teoría y Historia del Arte at the Universidad de Antioquia in Medellín, Colombia where she included work from IIAC artists in an installation exhibiting works from community engaged, social art practices and political works. Please see photos to the right!